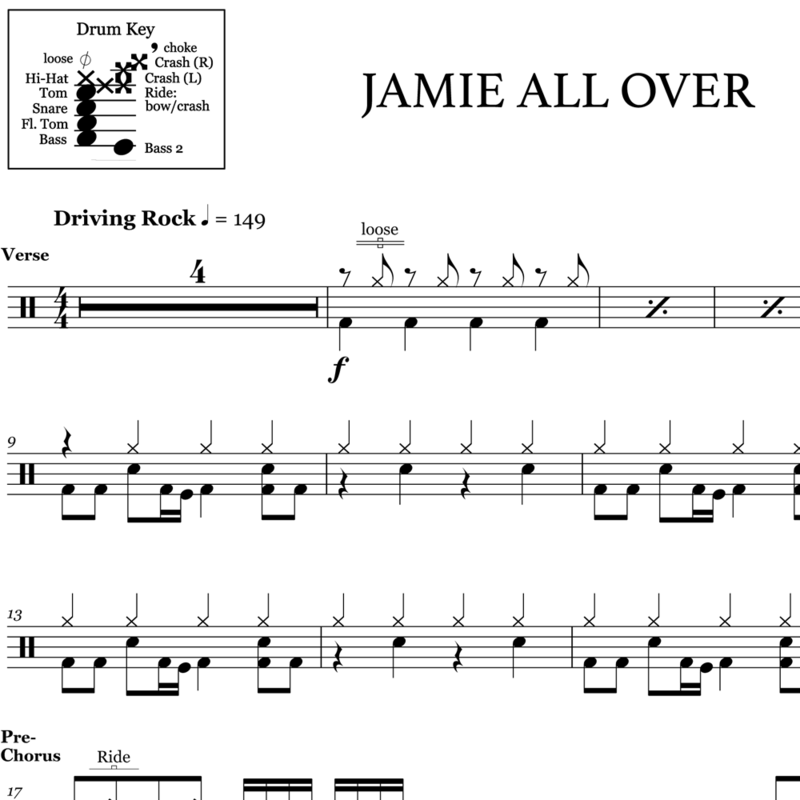 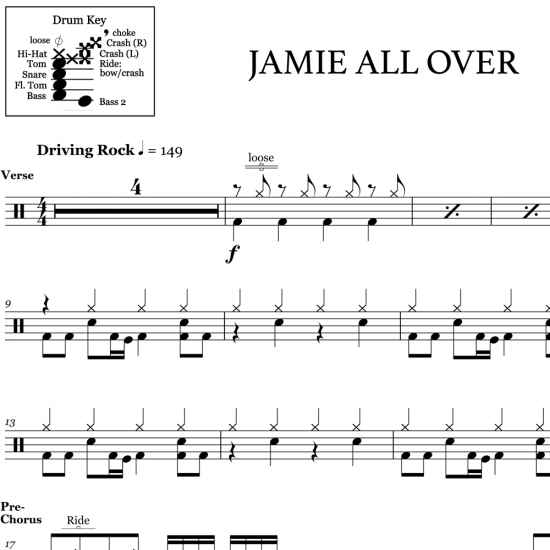 The full drum sheet music for "Jamie All Over" by Mayday Parade from the album A Lesson in Romantics (2007). 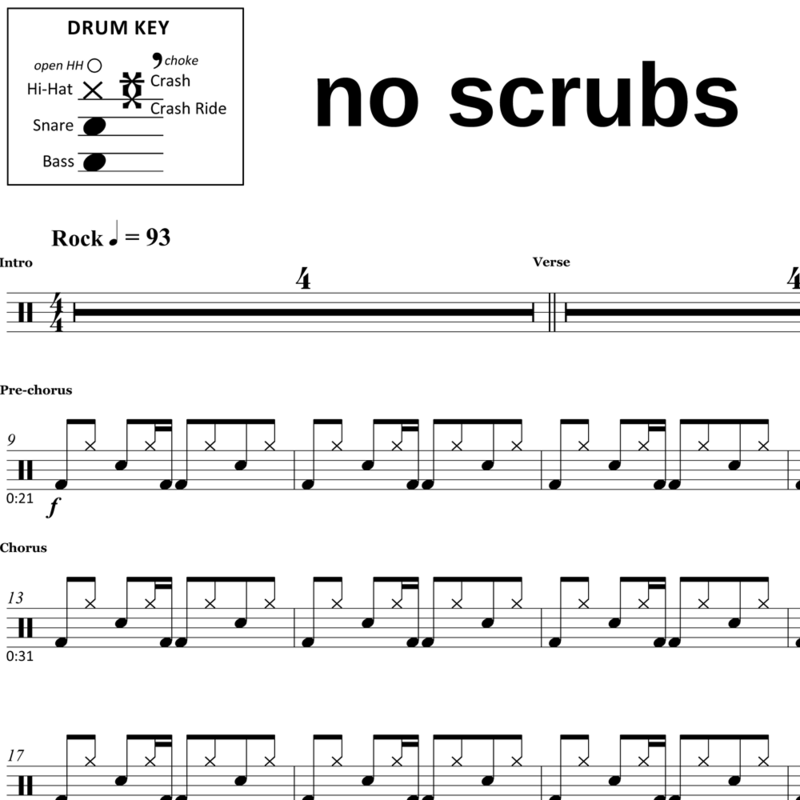 The full drum sheet music for "No Scrubs" by Weezer from the album Weezer (Teal Album) (2019). 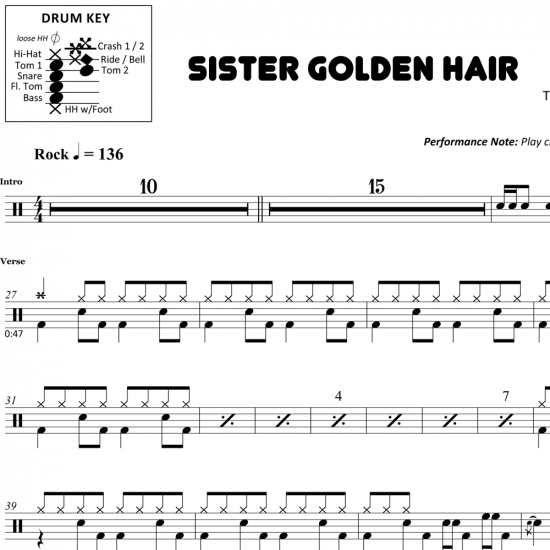 The full drum sheet music for "Sister Golden Hair" by America from the album Hearts (1975). 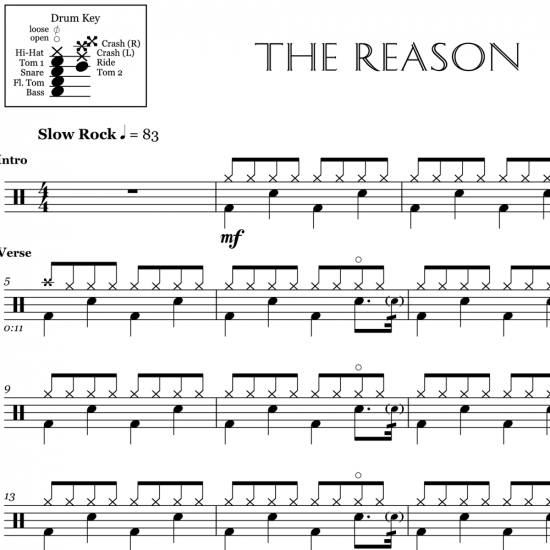 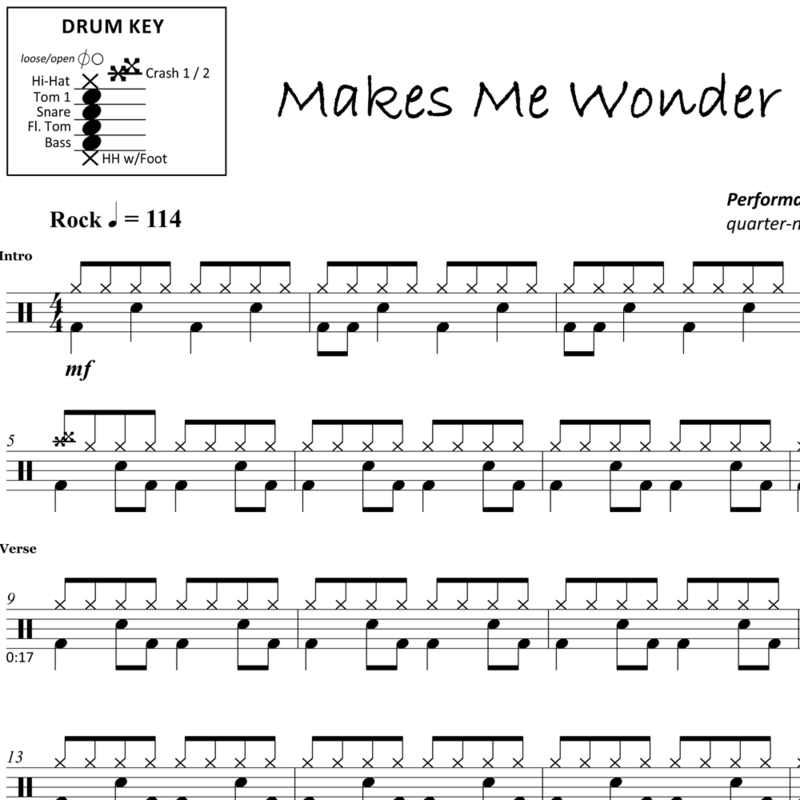 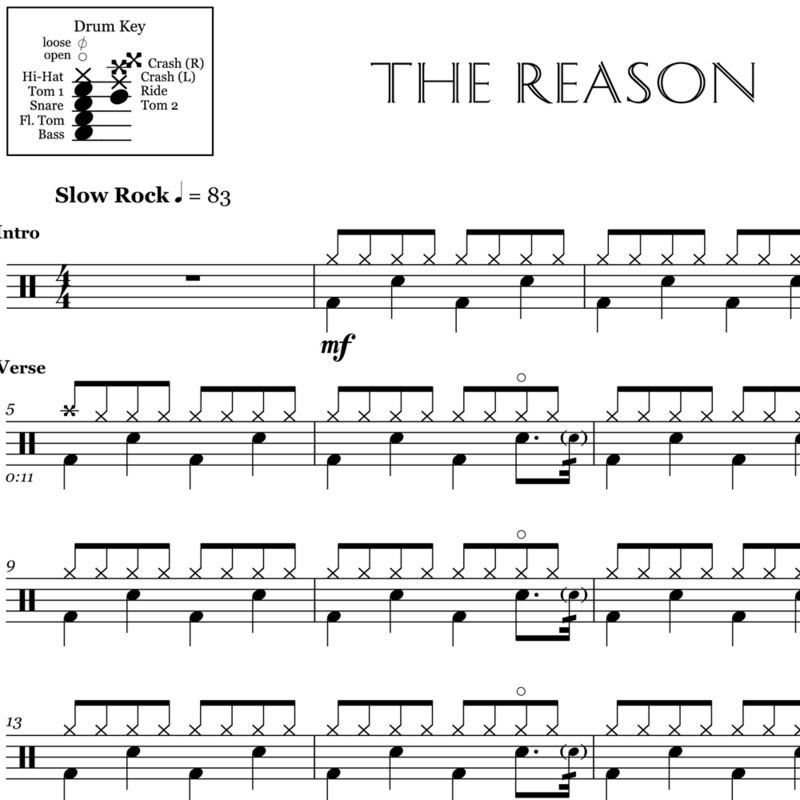 The full drum sheet music for "The Reason" by Hoobastank from the album The Reason (2003). 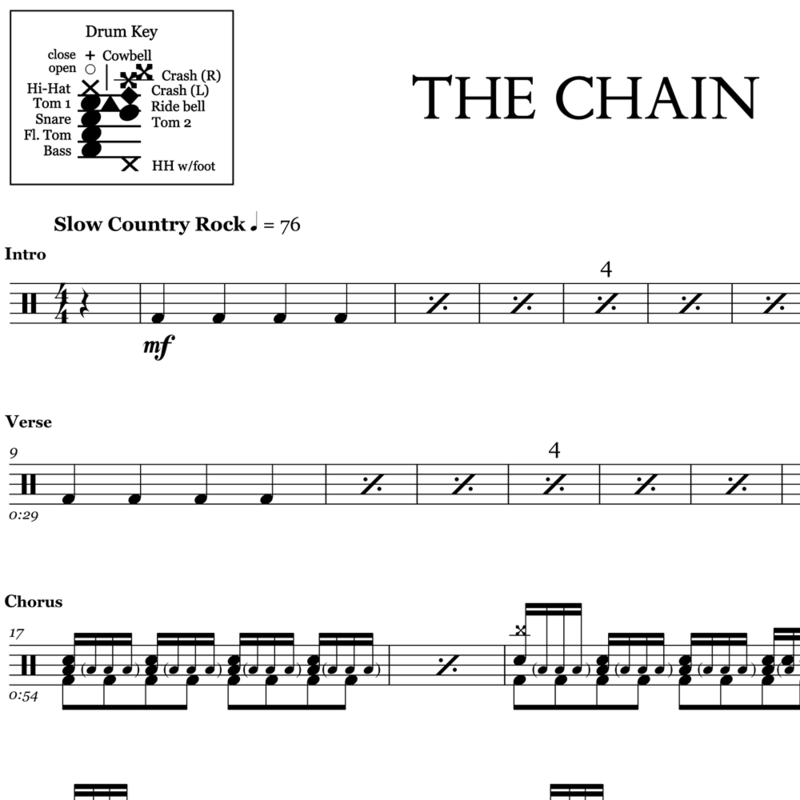 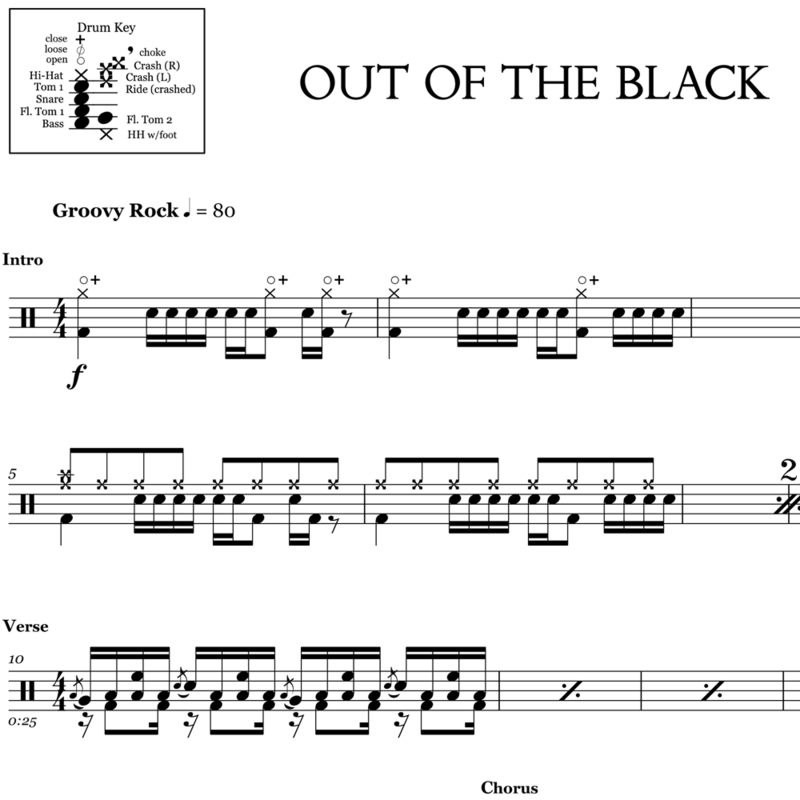 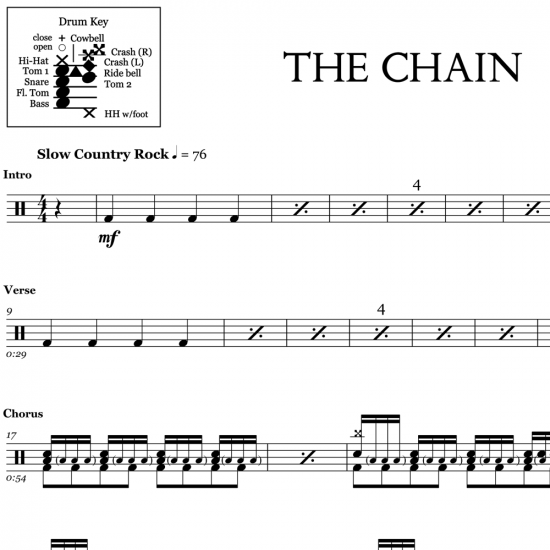 The full drum sheet music for "Out of the Black" by Royal Blood from the album Out of the Black (2014). 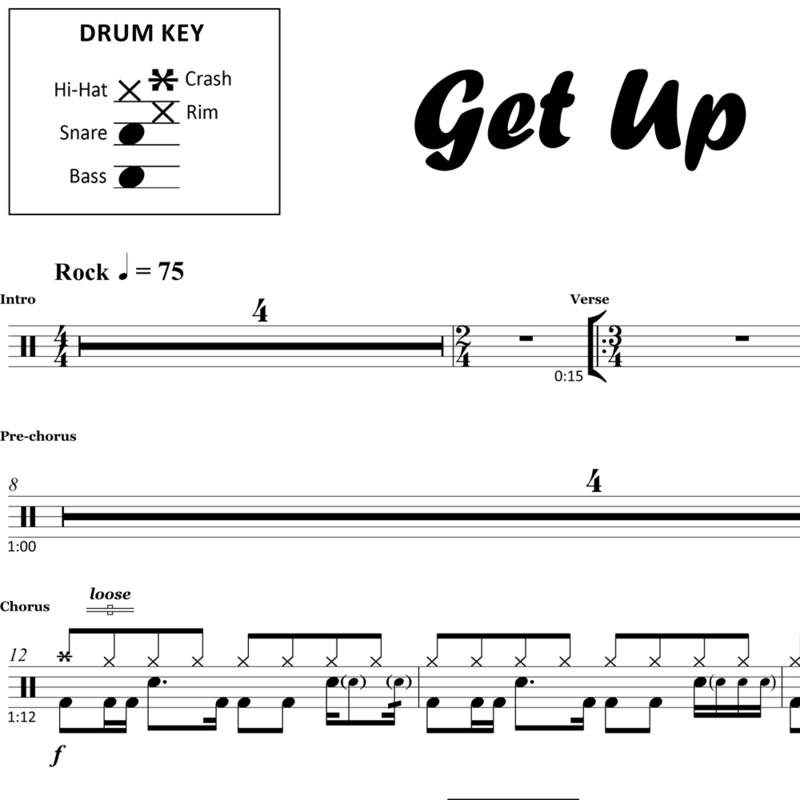 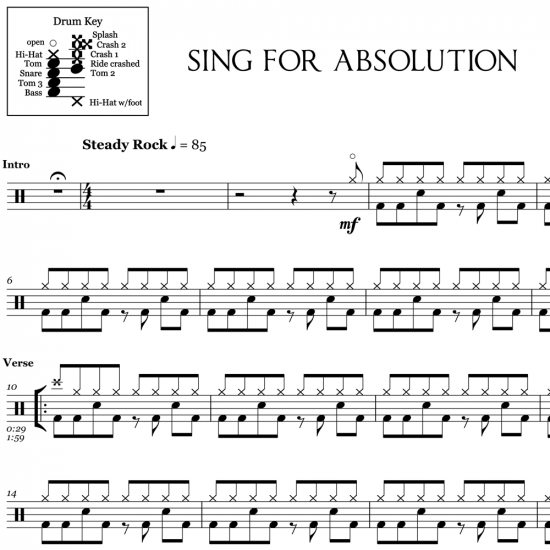 The full drum sheet music for "Get Up" by Shinedown from the album Attention Attention (2018).